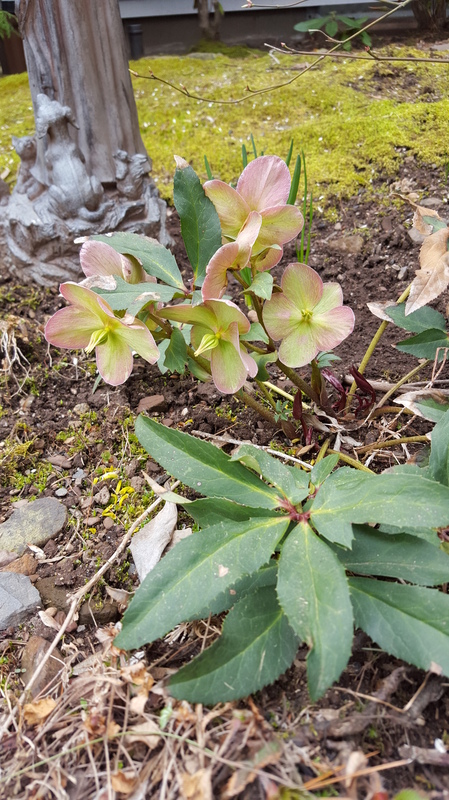 This is all that is left of the hellebores that bloomed in December. 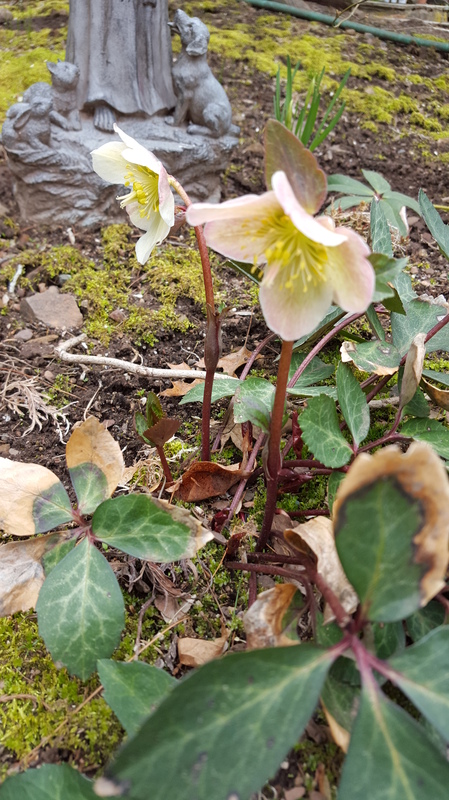 At that time, I had a photo of them with the remark that they were supposed to be called Lenten roses. This is the plant immediately to the south of the plant now “gone to seed,” if you will. It began blooming last week, technically just before the end of Lent. So I guess this plant is right on schedule!